Low once again had a few tough calls to make and opted to call up Manuel Neuer, who has not made a single appearance since 16 September, but returned to team training this week. Meanwhile, Gotze, who scored the extra-time winner in the final against Argentina four years ago, was not included in Germany's 27-man preliminary squad. 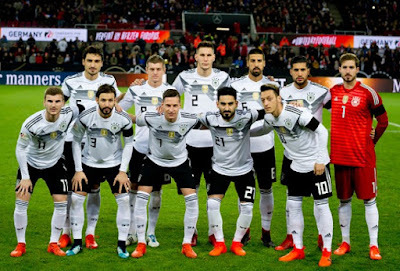 The 58-year-old coach, who extended his contract until 2022 on Tuesday and guided Germany to their fourth World Cup title in 2014, has until 4 June to cut his preliminary squad down to 23 names. 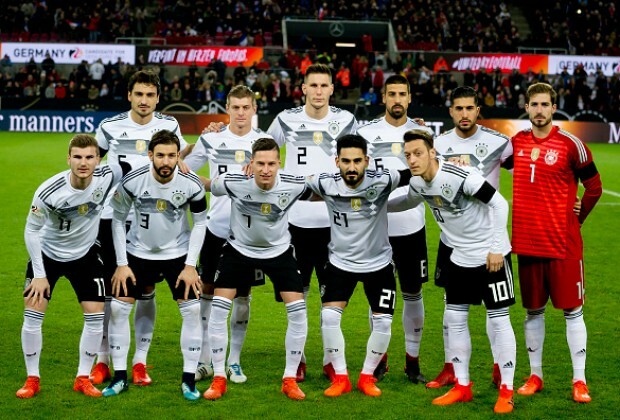 Midfielders/Forwards: Julian Brandt (Bayer Leverkusen), Julian Draxler (Paris Saint-Germain), Sami Khedira (Juventus), Toni Kroos (Real Madrid), Sebastian Rudy (Bayern Munich), Timo Werner (Red Bull Leipzig), Ilkay Gundogan (Manchester City), Mario Gomez (Stuttgart), Leroy Sane (Manchester City), Leon Goretzka (Schalke), Mesut Ozil (Arsenal), Thomas Muller (Bayern Munich), Nils Petersen (Freiburg), Marco Reus (Borussia Dortmund).